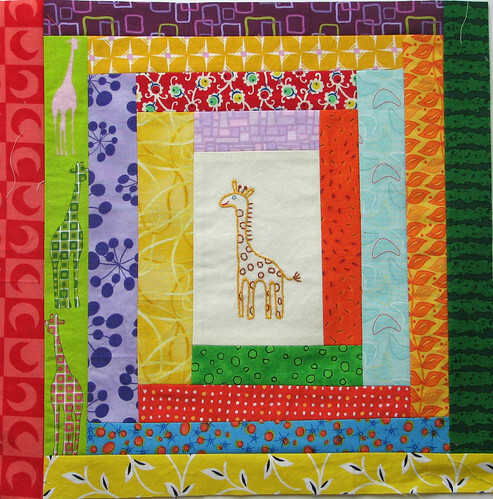 I knew that I wanted to include some hand embroidery in this quilt, and I decided to go with a giraffe and an elephant because they are featured in some of the fabrics I have been using throughout these many blocks. 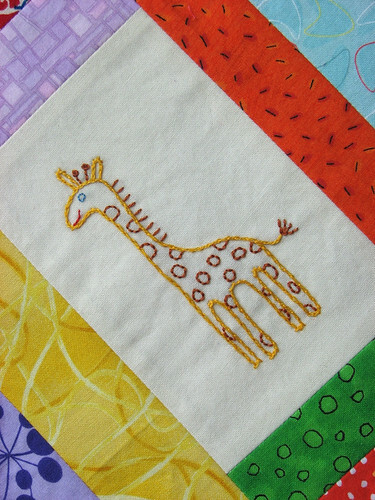 I found some super cute embroidered animal patterns through Sew Mama Sew, and modified them slightly so they more closely resembled the ones in my fabrics. 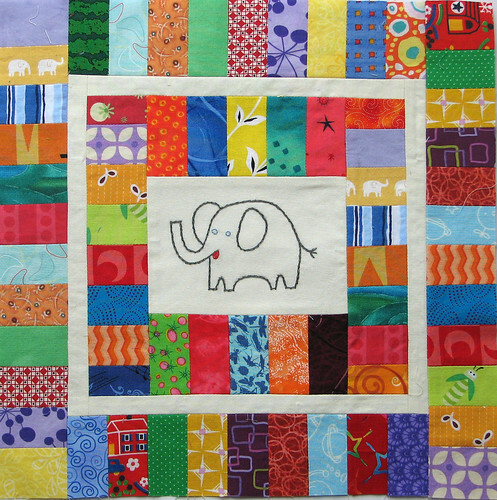 The only stitches used are split stitch and back stitch. Those are my go-to stitches. I should probably really make an effort at learning more, but I have about ten-million projects I want to do before that is going to happen!